As part of All Authors Blog Blitz, organized by the Self-Published and Indie Authors group on Goodreads, I'm very pleased to host a guest blogger, Meredith Bond. 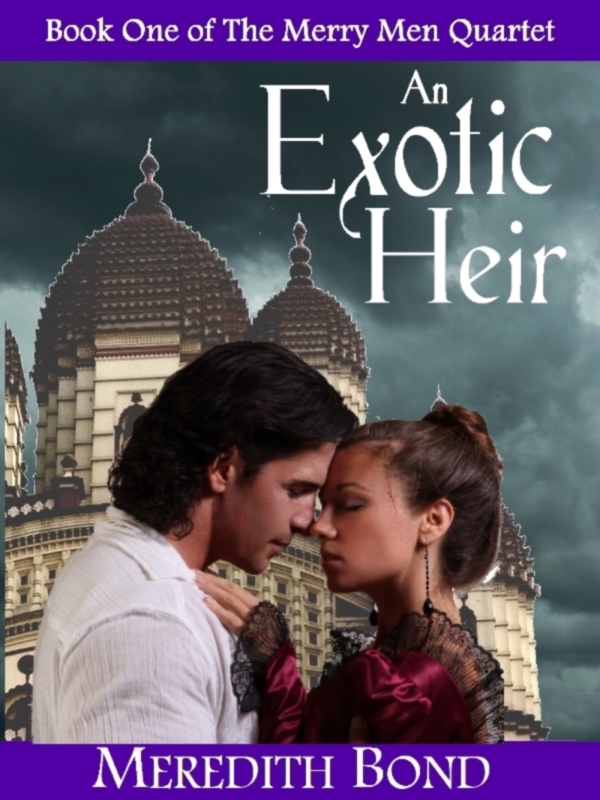 She discusses her latest book, An Exotic Heir. Thanks so much to Ken for allowing me to be a guest on his blog today. I thought it might be appropriate to write about something which he’s been dealing with the past few weeks – moving. As, I’m sure, Ken could tell you, it is not easy to move. He’s mentioned packing and cleaning, well, try blending into that moving to another country! It would be a nightmare in my opinion, and yet some people do it, and do it with disturbing regularity. I’ve even spoken with some of them and they all warn me not to do it! It is, however, something my characters in An Exotic Heir do. In fact, they do it a couple of times. The trick is that while my heroine, Cassandra, does move from London to Calcutta, she isn’t moving an entire home or family. She is, in fact, joining her parents who had moved there many years before (leaving her at boarding school and in the care of a close relation). Things don’t work out so well for Cassandra after she leaves school, though, and when her social reputation is possibly seriously damaged, she does the only thing she can think of – she runs to her parents in Calcutta. The catch to this, of course, is that An Exotic Heir is set during the Regency (early 1800s when King George III was declared insane and unfit to rule so his son became the Prince Regent of England and ruled in his place). At that time moving to India could have been even more of an adventure than it is today, except instead of adapting to this strange, exotic country, the English simply brought England with them and recreated it in India! So much for moving! You would think that my heroine would appreciate everything being so similar to home, having just come from England. But no, she hates it. She wants to explore and learn all about this strange new country she’s moved to. Despite being scoffed at by the English around her for wanting to do such a odd thing, Cassandra persists with the aid of an extremely handsome Anglo-Indian named Julian Ritchie. I wish I could say that Julian agreed to show Cassandra around Calcutta out of the kindness of his heart, but that’s just not the case. Julian is out for revenge. He’s been treated like dirt by the English because of his mixed heritage and is determined to hurt the one who hurt him the most – Cassandra’s mother, the most bigoted person among the English living in Calcutta. But revenge somehow never works out the way you planned. Julian ends up moving to England after Cassandra moves back to London – a huge transition for him since he has to figure out everything from how the banking system works to trying to enter society and not get shunned as he had been in Calcutta. On top of that he’s got romance problems (yup, Cassandra). So, Ken, you’re moving from the mid-west to Delaware? That’s easy compared to what Cassandra and Julian have to deal with! Best of luck with it! And if you’d like to read about Cassandra and Julian’s trials, you can find An Exotic Heir at Amazon, Barnes & Noble, Apple ibooks and Smashwords.